“Clean” meat, otherwise known as “lab grown” meat, has been a hot topic this year. It has been touted as one potential solution to the problem of feeding a growing population in a more sustainable and humane manner. The current system for meat production, based largely on factory farming, is neither sustainable nor humane and no wonder many people around the world are looking for alternatives. 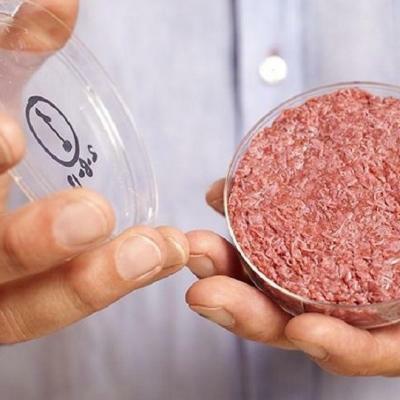 Could "lab grown" meat be one of them? It is not a secret that industrial animal agriculture is polluting our land, our seas and the air. It is contributing to climate change and antibiotic resistance. There are animal welfare concerns as well as labor concerns. While not all ranches, farms and dairies commit negative environmental and social acts, some still do. These unsustainable practices cannot continue into the future especially if our population continues to expand as expected. Therefore, we need solutions and real alternatives to meat grown using methods borrowed from industrial production. While we have already covered one such alternative, involving harvesting insects as a source of protein, "clean" meat represents another option. "Clean" meat is meat grown in a lab from animal cells instead of on a farm. In a process deemed “cellular agriculture,” a sesame seed size biopsy of muscle cells is taken from the animal, put into a fermenter, fed nutrients and viola, meat is produced and can be harvested. Traditional agriculture historically promised to produce more food with less resources and cellular agriculture promises to do the same, but with a lighter environmental footprint. “Clean” meat is designed to appeal to sustainably minded meat eaters as opposed to current vegans and vegetarians by mimicking the taste and texture of real meats such as beef, chicken, turkey and fish. It is safer for the consumer, it is produced in an eco-friendlier way than conventional meat and it is better for the animals than factory farms and similar operations. However, there is the disadvantage or moral concern that animals (albeit fewer of them) are still required so that cells can be harvested. Measures must be taken to ensure their humane treatment. Also, to ensure sustainability, innovative approaches must be implemented to minimize the electricity and heat required to run the labs. The evolution of cellular agriculture has been quick. In the pioneering clean meat project out of the Maastricht University, it initially cost $330,000 to produce one hamburger patty; now that same hamburger costs $30 per pound. The costs are rapidly coming down with improved research. Early taste tests described the first hamburger as “too meaty.” Research has also allowed for the taste to evolve and improve. Many prominent individuals have acknowledged the need for other options and have realized the potential of “clean” meat. Bill Gates and Richard Branson have invested in the lab grown meat startup, Memphis Meats. Branson reportedly predicts that “clean” meat will fully replace traditional meat in about three decades. The food industry is taking note of the need for options as well as the shift in consumer demand with many large food companies purchasing plant-based meat companies. For example, Nestle recently acquired Sweet Earth Foods known for its popular plant-based and sustainably created “bacon” and “ham” products. Cargill has invested in Memphis Meats and Tyson has invested in the plant-based meat company, Beyond Meat. Encouragingly, Tyson’s Chief Sustainability Officer Justin Whitmore when speaking of plant-based alternatives recently stated, “When we think about investments like this, we’re thinking about an ‘and’ model, not an ‘or’ model… So this investment does not cause us to rethink where we think the growth is in protein broadly in the other meat-based platforms. What it is, is access to new alternatives, innovation, and thinking that we think could be quite interesting and quite disruptive.” It may not be long until Tyson too invests in clean meat. Of course, artificial meat is not a be-all and end-all answer to the problem of sustainably feeding a growing population of this planet. It has its own share of issues, including displacing traditional farmers and unclear long-term implications on human health. Still, it provides one possible solution to a major problem and if current interest and investments continue, it may challenge real meat for a spot on the shelf. We want to know: would you try “clean” meat?